Dr Kumiko Date in action. This quiet, gentle & humble lady is hiding a big & generous heart inside. During this session, she shared about the Japanese language & culture. In July, Dr Kumiko Date from Tokyo, a lecturer of the Japanese language at the University of Malaya, visited SMK Katibas to meet & deliver a talk for the wonderful children at my beloved jungle school. 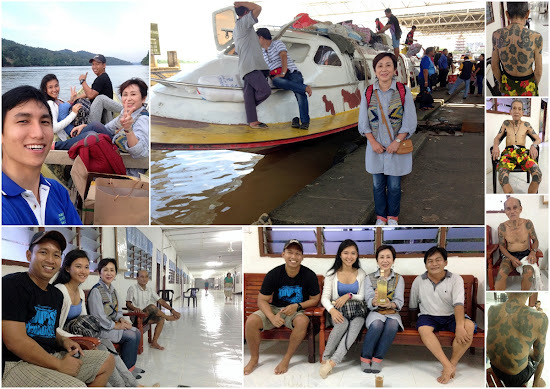 She had only been in Malaysia for 3 months when she embarked on this adventure to the hinterland of Borneo. All because a colleague showed her this which moved her. She wanted to meet me & my students. I found a perfect speaker to inspire my students. We exchanged emails & she agreed to visit my school & deliver a talk to all the students. In turn, we provided her with food, lodging & a once in a lifetime experience. She came at little to NO COST to the school. Not only did she pay for her own return flights from KL to Sibu (during the peak-priced Raya season), she actually bought Pilot pens, super cute erasers & origami paper from Japan & had it shipped to Malaysia for each of my 350+ students! What an unbelievably generous soul! She also left us books about the Japanese language & culture, a Japanese fan & flag as well as a deep impression in the hearts of my students. I could tell that she really loved the children in the way that she interacted with them. It was all heartfelt. Her love was so great that it humbled me. My students were mind-blown & overjoyed that someone from Japan would come all this way to visit them! They experienced Japanese fever in the days after Kumiko sensei's talk. Often speaking to me in Japanese & bowing. Cute. 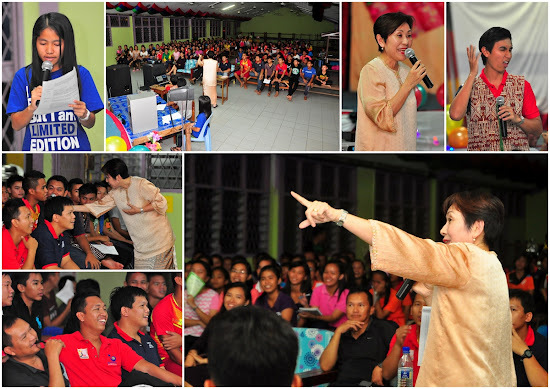 Check out the pictures of what she did during her visit! We took Kumiko sensei to visit TR Jala Ng Miau, a longhouse near the school. She met with the longhouse folk, examined their traditional Iban tattoos & had her first glass of Tuak! Before Kumiko sensei took the stage, we entertained her with a Ngajat dance by students fully-dressed in the Iban Ngepan. 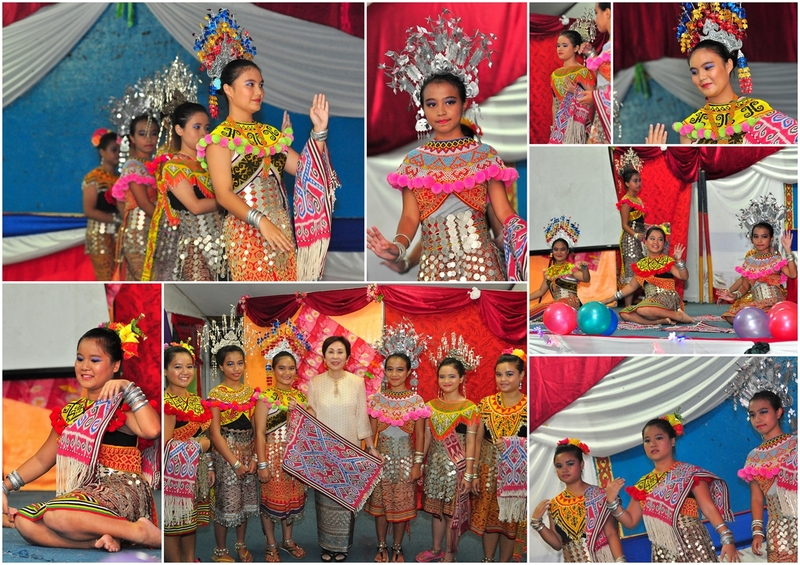 She was impressed & delighted with the dance was coordinated by Miss Polin Nerampoh. The next morning, the first thing Kumiko sensei did was visit every single one of our 17 classrooms. Accompanied by the leaders of the English Language Society, she paid attention to the effort the students put into decorating their classrooms &, like a loving mother, praised how beautiful it all was. With Mr Wesley Naing as the interpreter, Kumiko sensei shared a famous Japanese poem by Misuzu Kaneko before having a Q&A session. She reminded the students that they were unique & should not give up in pursuing their dreams. Kumiko sensei taught the students how to fold origami with special origami paper she brought from Japan! The students had a whale of a time! Kumiko sensei gave the students pens, erasers & origami paper. 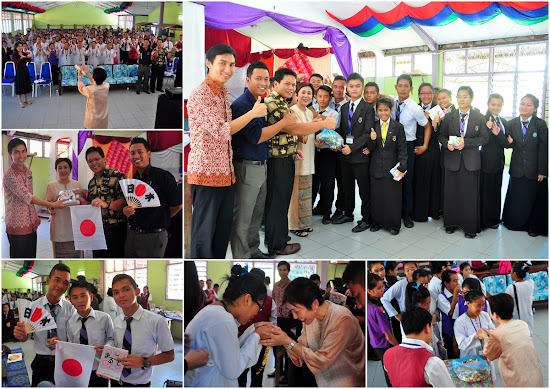 She also gave our school several books on the Japanese language & culture, a Japanese flag, & a Japanese fan. We presented to her a certificate & a personalised bead keychain handmade by our students. At the end, the students presented to sensei a customary SMK Katibas love clap & lined up to personally thank her. Have you ever held something made from Japan? I'm not sure if I have. The Japanese stuff that I have came from local 100 Yen shops &, somehow, I have an inkling that they're made in China. Think about the Jap stuff you think you have... You've probably got doubts too & yet you live in a big city! MY KIDS IN THE JUNGLE NOW HAVE POSSESSIONS THAT ACTUALLY CAME ALL THE WAY FROM JAPAN!!! CARRIED BY A JAPANESE PERSON!!! How amazing is that?!!! I will never in my lifetime be able to repay what Kumiko sensei has done for my students. She is truly a kindred spirit. I just hope that we gave her a just representation of Sarawak & the Iban culture as well as many stories & memories to share with loved ones & colleagues. I'm looking forward to building greater ties between rural Sarawak & the Japanese community in Malaysia & beyond! Photo Credit: Andreavucci Photography, a teacher at my school & an amateur photographer who does events & wedding photography.